September 18, 2018	2:32 PM CDT By W. T. Whitney Jr. In late September of 2017 the State Department removed 60 percent of the staff at the U.S. Embassy in Havana, ostensibly because their health was endangered. A week later, for “reciprocity,” the Department expelled 15 Cuban diplomats stationed in Washington. A travel alert warned potential U.S. visitors to Cuba of danger there to their health. The alarm had sounded in August, 2017 in response to U.S. diplomats in Havana and a handful of family members, one after the other, 26 in all, having complained over months of one or more neurologic-type symptoms. These included: strange noises, hearing loss, headaches, impaired memory, confused thinking, dizziness, impaired vision, and more. 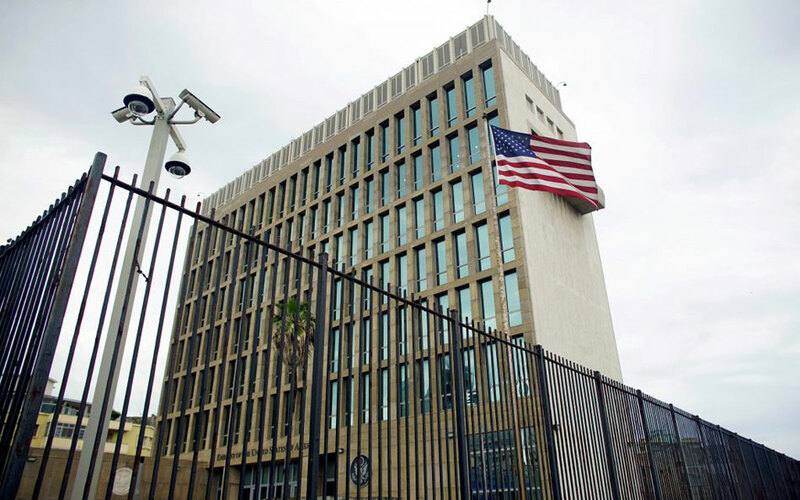 An understaffed U.S. embassy in Havana quickly became unable to issue entry visas to Cubans seeking to visit the United States or migrate there. To do so, they’ve had to travel to a U.S. embassy in a third country, which many couldn’t do. Dysfunction in both embassies impedes negotiations on a range of bilateral issues, among them: migration, environmental problems, maritime and air-traffic regulations, illicit drug trade, and property claims. The travel warning led to reduced numbers of U.S. visitors to Cuba and diminished benefit there from their spending. Tourists from elsewhere evidently ignored it. Five million visitors to Cuba are projected for 2018, a new high. The article filled a void created by teams of experts unable to explain the symptoms. University of Michigan scientists, Cuban specialists, U.S. audiologists, and clinicians at the University of Pennsylvania had excluded possibilities like a viral agent, chemicals, or ultrasound. The Pennsylvania specialists on February 14, 2018 published the results of multi-disciplinary assessments of 21 of those affected. They concluded that “unique circumstances” and “the consistency of clinical manifestations raised concerns for a novel mechanism of a possible acquired brain injury from a directional exposure of undetermined etiology.” It was unclear “if or how” sound phenomena were involved. Adding to the confusion is the experience of similar symptoms by U.S. diplomats in China and Canadian Embassy employees in Havana. There’s a report too that the first four U.S. diplomats taken ill, and two more later on, were CIA agents working under diplomatic cover. Cuba’s government has consistently denied responsibility for the illnesses and has facilitated four FBI visits to the island for investigation. The U.S. government has confined itself to blaming Cuba for not protecting its diplomats. Florida Senator Marco Rubio called for the American Embassy in Cuba to be closed down unless Cuba’s government takes action. What with Cuban and other investigators having rejected theories of brain injury, of hostile agents, of weapons, the possibility remains that the sicknesses were fictitious, were associated with collective anxiety or drama staged for unfriendly purposes. As the story was emerging in late 2017, the theory emerged that dissident Cuban factions may have been protesting Cuba’s rapprochement with the United States. Times reporter Broad notes that, “Russia, China and many European states are seen as having the know-how to make basic microwave weapons that can debilitate, sow noise or even kill.” As if to blame Russia, he indicates that President Putin has resolutely sought to improve relations with Cuba. Vermont Sen. Patrick Leahy’s words of September 2017 carry new meaning. Alluding to the long history of U.S. aggression against Cuba, Leahy declared that, “Whoever is doing this obviously is trying to disrupt the normalization process between the United States and Cuba. Someone or some government is trying to reverse that process.” That’s of course what the Trump administration intends to do. 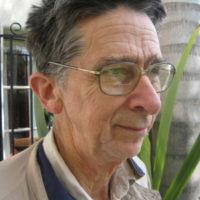 Carlos Fernández de Cossío, head of the U.S. section of the Cuban Foreign Ministry was more precise. The only winners from confrontation, he explained, are “those who for years have lived and benefited, and economically too, from a situation of hostility between Cuba and the United States.” These do not include, he added, the Cuban government, the Cuban people, or the U.S. people. In essence, U.S. animosity toward Cuba adds up to so-called “fourth generation warfare.” That’s when guns are quiet and bombs aren’t falling but an aggressor is “bypassing an opposing military force and striking directly at cultural, political, or population targets.” In regard to Cuba, who in the United States decides on war? Clearly it’s not the many who like Cuban baseball, Cuban dance, Cuban music, and the idea of health care and education available to all. It’s not the heirs to long habits of interchange between the two countries who think of Cubans as neighbors. We agree with Mr. Fernández de Cossío that in the United States it’s the rich and powerful who tend toward war. If so, what’s needed for peace with Cuba is more democracy.